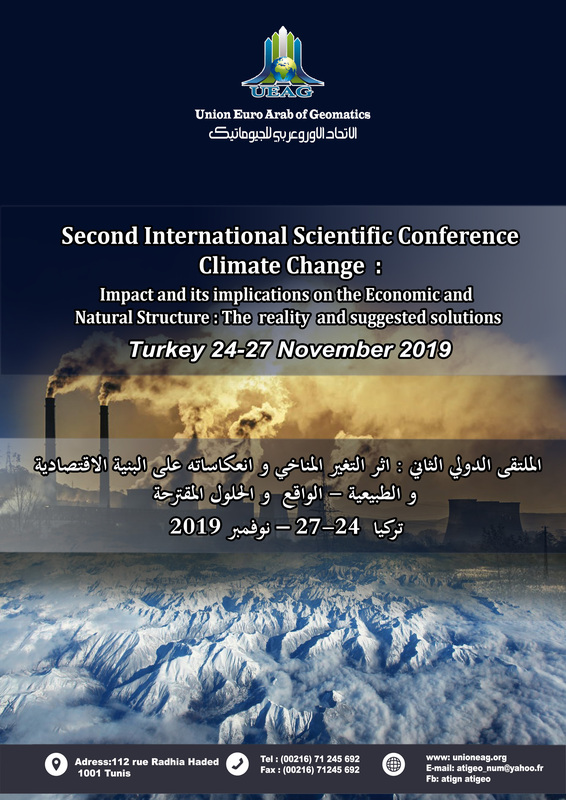 The Euro Arab Union of Geomatics invites you to participate in the INTERNATIONAL SCIENTIFIC Conference Climate Change : Impact and its implications on the Economic and Natural Structure: The reality and suggested solutions , which will be held in Istanbul, Turkey from 9-12 July – 2019.
and it will be possible to publish the work if it will be accepted after its reviewing by international specialists. • The role of institutions in improving environmental performance and adapting to climate change. • Role of human resources managers in climate change and the environment. • The role of insurance companies in light of climate change and the environment. • Business intelligence and the search for new sources that limit climate and environmental changes. • Economic measures and their impact Climate and environmental change. • The role of the knowledge economy in reducing climate and environmental change. • Towards a green economy environment friendly. • The impact of globalization on climate change and environmental change. • Waste and its impact on climate change. • The role of international and domestic laws in reducing environmental change. • International laws supporting environmental protection. 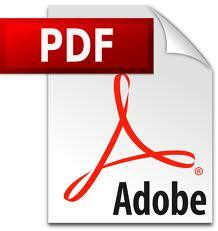 • International laws governing pollution in seas and rivers. • The impact of climate change and its role in changing borders. • The role of climate change in desertification and drought. • The role of climate change in wars. • The role of climate change in migration and social shifts from rural to urban areas. • Environmental accounting and measurement of environmental performance. • Accounting indicators and their role in supporting performance. • Accounting standards and their impact on the organization’s statement of the direction of climate change. • The role of technology on climate change. • Biotechnology Industries (technologies that change live mortals). • Technological changes and their entry into all components of life. • Information systems and diagnosis of internal environment and external environment. • The impact of climate change on agriculture and agricultural production. • The impact of climate change on the tourism sector. 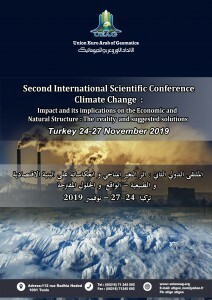 The organizing committee of the INTERNATIONAL SCIENTIFIC Conference Climate Change : Impact and its implications on the Economic and Natural Structure: The reality and suggested solutions , which will be held in Istanbul, Turkey from 9 to 12 July – 2019 . is honored to inform participants, who wish to make a poster presentation, to send an abstract before 10 June 2019. Poster size: A0. The researcher may choose the suitable size for the poster. Posters should stick to the themes of this edition. Posters should be in: French, English and Arabic. Reception of posters are open until 12 February 2018. Poster presenters are invited to send us their CVs with photos along with posters if they wish to publish their works.